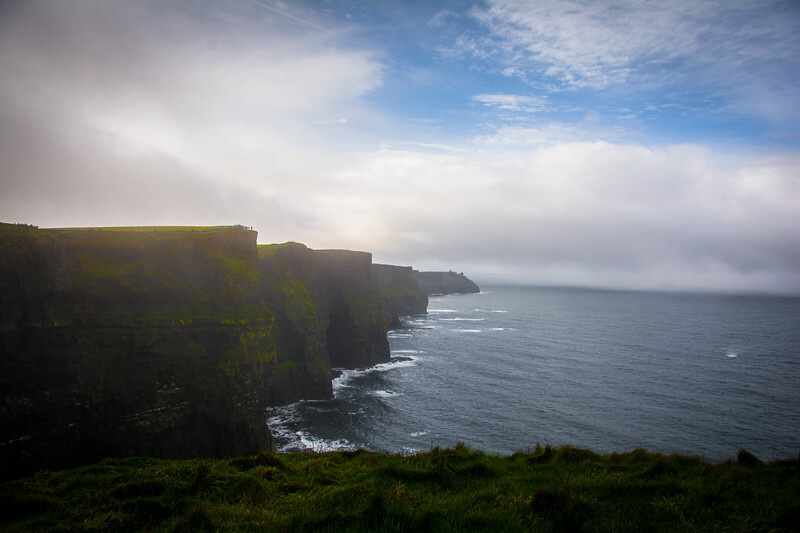 Cliffs of Moher Tour - How to Enjoy an Amazing Day Trip? 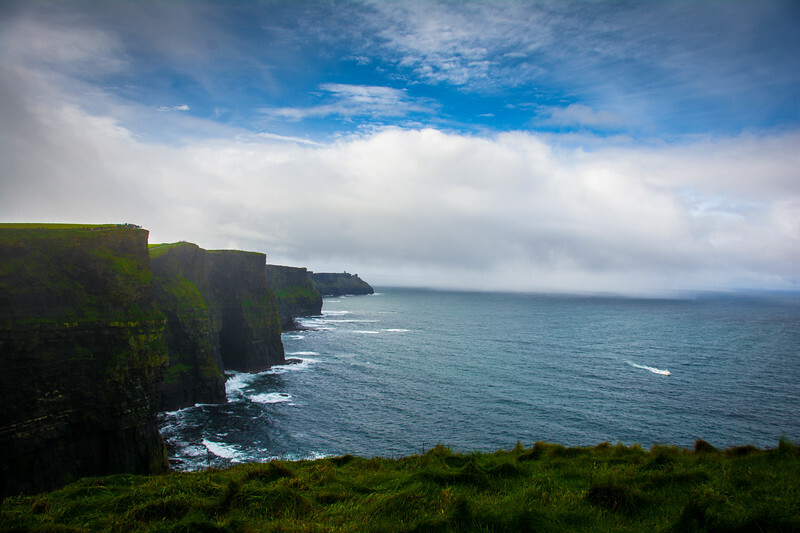 Home Ireland Cliffs of Moher Tour – How to Enjoy an Amazing Day Trip? 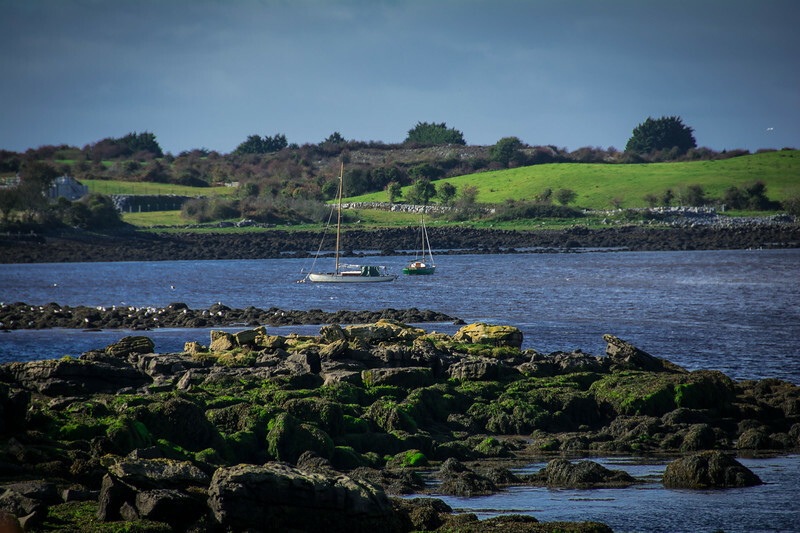 Ireland is a nation that can be proud of the spectacular natural landscapes that are scattered throughout the Emerald Isle. 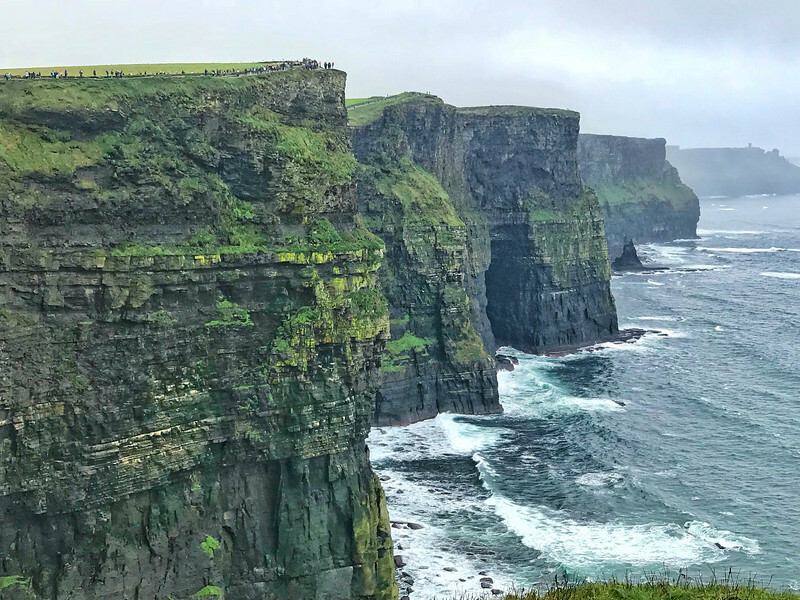 If rugged, untouched nature is what you are looking for, a breathtaking Cliffs of Moher tour along the Wild Atlantic Way epitomizes a beauty unlike anywhere else in the world. 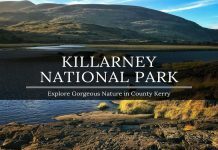 Our visit saw us drive from Limerick to the Cliffs of Moher but the beauty of Ireland is that you could be based in Galway, Athlone or even Dublin and still experience this natural landmark on a day trip. 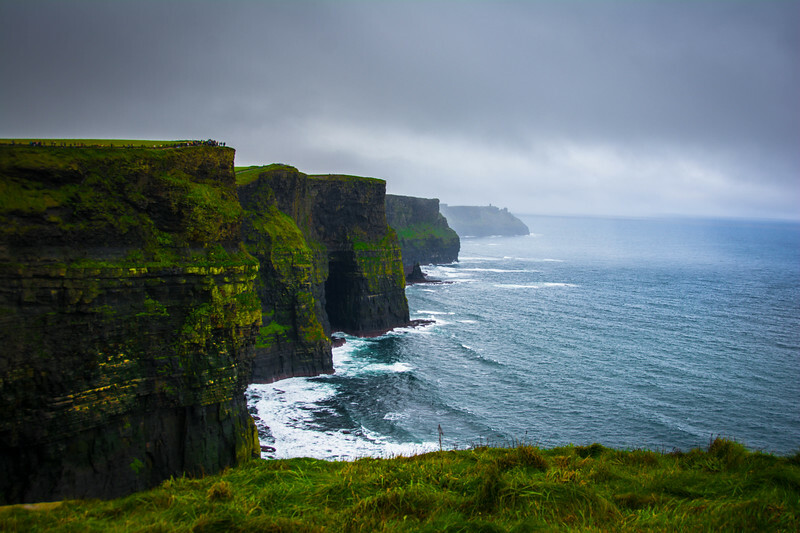 Renowned as being one of the most popular landmarks throughout Ireland, the Cliffs of Moher are located at the southwestern edge of the Burren region in County Clare. When I referenced that this beauty is unlike anywhere else, many would argue that Iceland is perhaps equally beautiful but there is something quite majestic about this Irish landscape that we consider to be second to none. 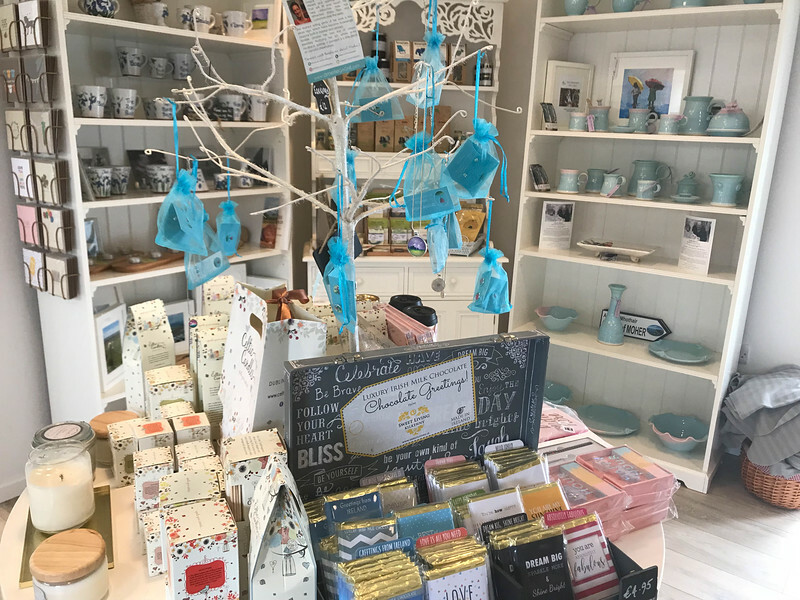 Whether you are planning a visit to the Cliffs of Moher with the intention of staying overnight in a nearby village or perhaps simply taking a day trip hopefully, we can give you a few ideas and inspiration to add to your itinerary. 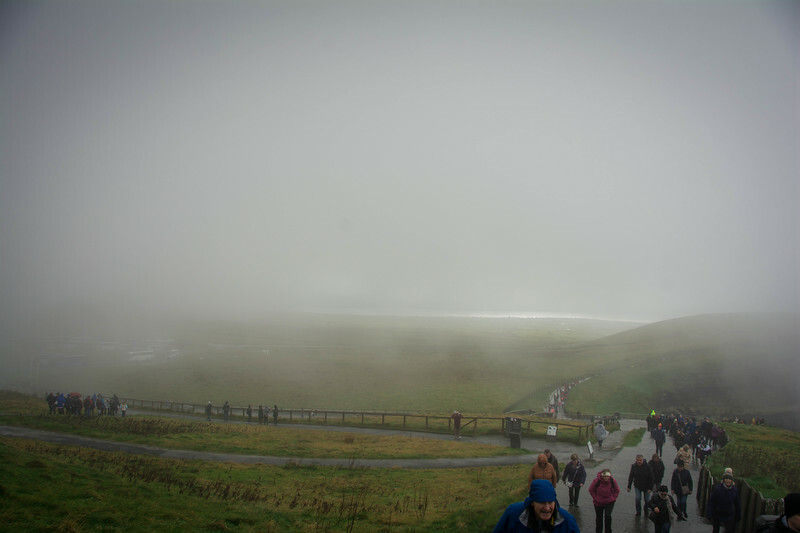 As you will see, we actually visited the Cliffs of Moher twice primarily because of inclement weather conditions on the first day. 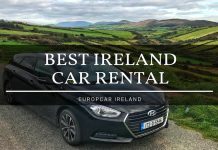 Anyone that has visited Ireland will know that the weather is a little unpredictable so having that flexibility to change your schedule and organize a return visit is definitely something you should consider. 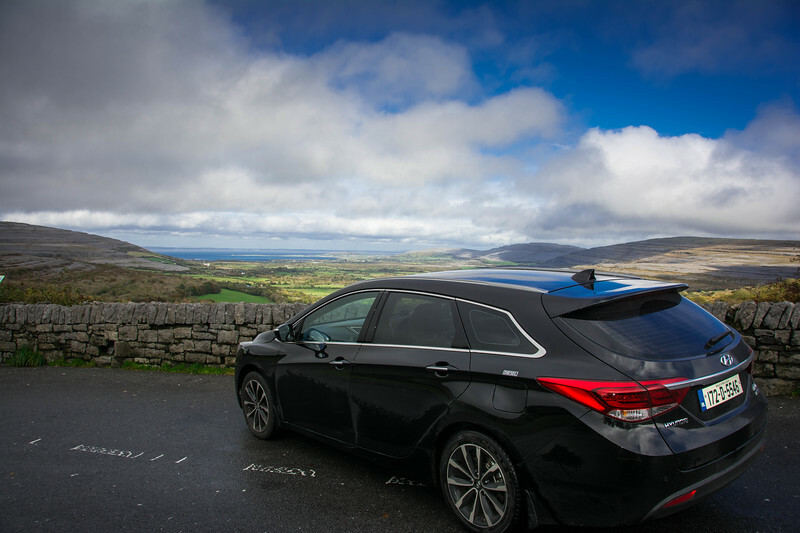 Let’s take a look at the experience we had driving from Limerick to the Cliffs of Moher and some of the stops along this route you may want to consider exploring. Click here to use Google Maps to follow our recommended route. 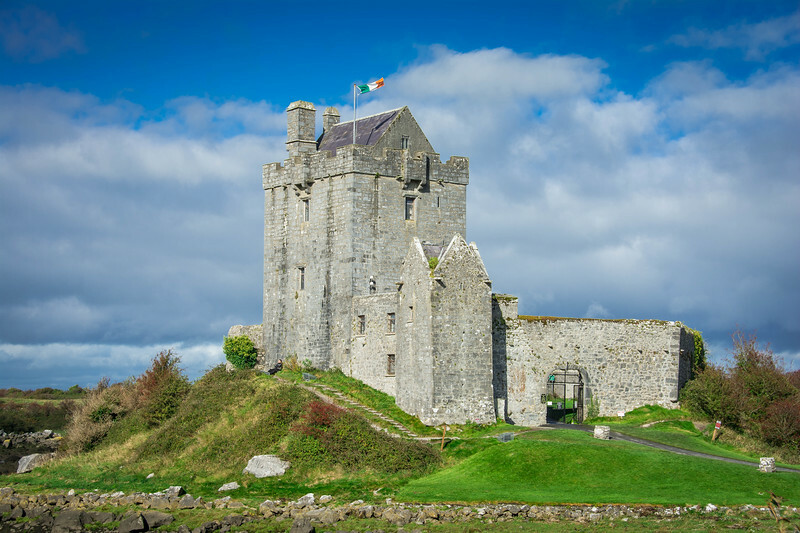 Can you think of any better way to start your adventure than by visiting one of Ireland’s spectacular castles? 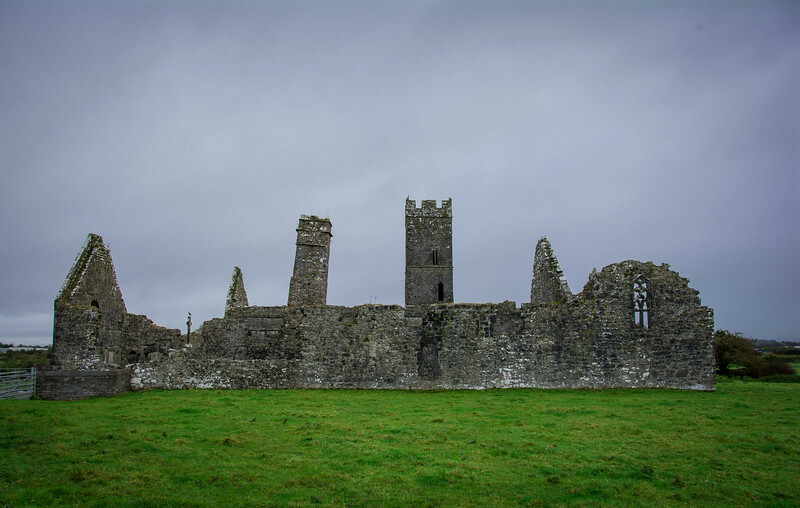 Well, it’s reported that there are around 30,000 castles or castle ruins to be found on the Emerald Isle and given the relatively small size of the country, it’s no surprise that there are pretty common sightings whenever you take a road trip! 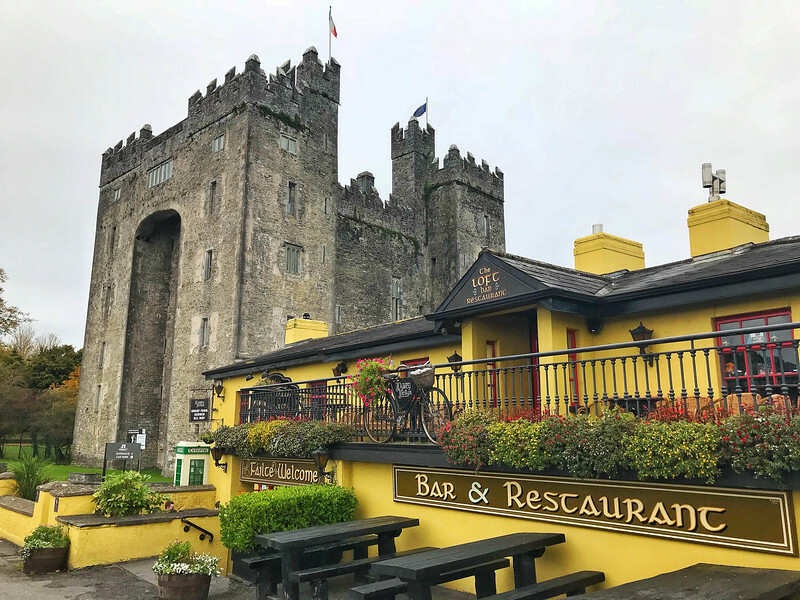 Bunratty Castle…the name alone is cool enough to justify a visit right? But there is way more to this historic castle than just the name! 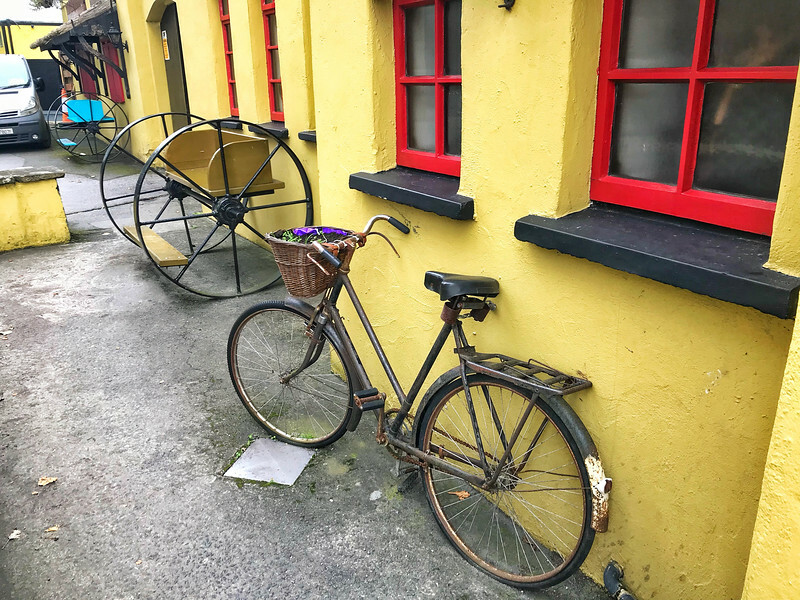 Dating back to around 977 when the first recorded settlement was on the grounds of Bunratty Castle, it’s rumored that a Viking trading camp located here. Of course, without any confirmed ruins of these settlements, it’s hard to be 100% sure but I’m ok with going along with this story. Around the year 1250, the first Norman fortress ordered by King Henry III of England was constructed here. 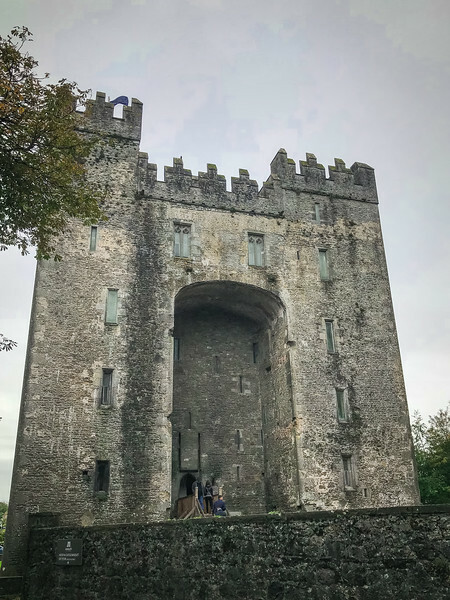 In the late 13th-century, Bunratty had around 1,000 inhabitants and the castle was attacked on numerous occasions by the O’Brien clan before finally succumbing. If we fast-forward a couple of hundred years, we find today’s structure which was completed by the MacNamara family circa 1425. 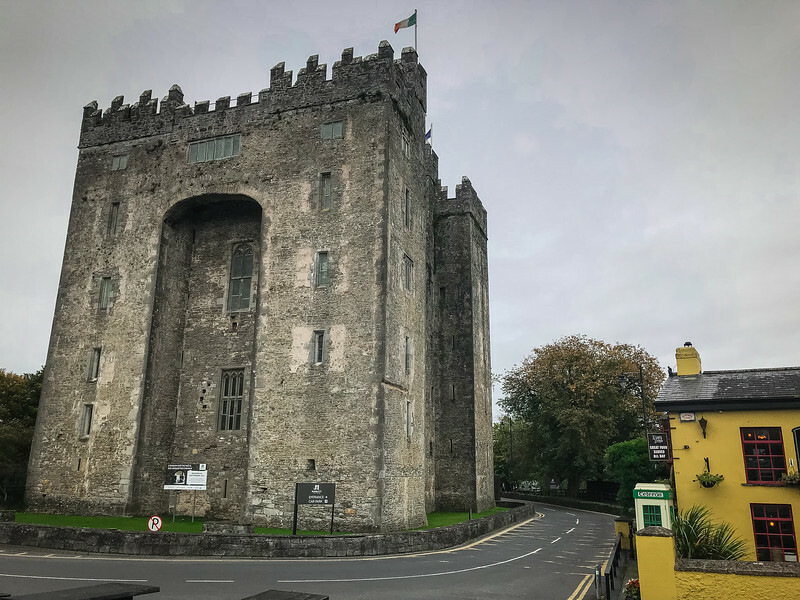 The history of Bunratty Castle is both intriguing and enlightening and today, visitors can enjoy tours of the castle along with Bunratty Folk Park which is equally popular among visitors. For those of you that want a full Irish castle experience, why not enjoy the medieval banquet with the Earl of Thomond that is offered daily. 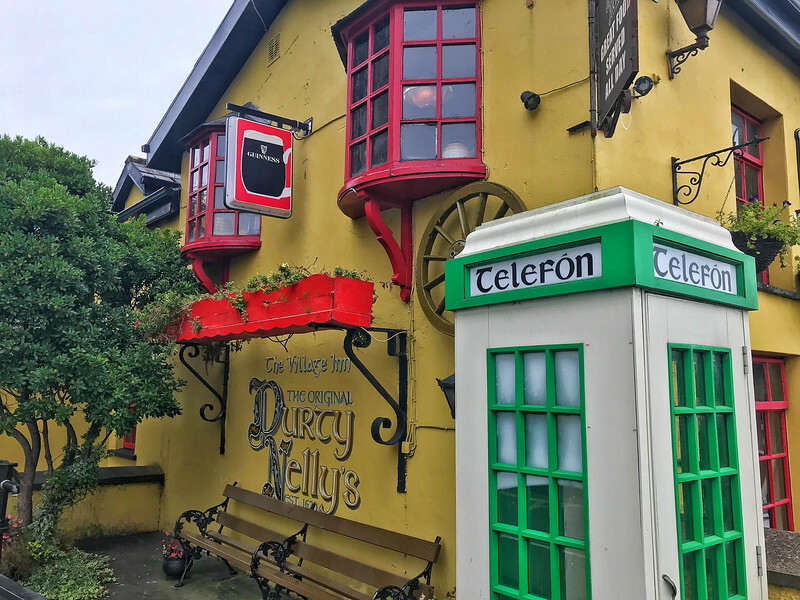 If you are looking for a slightly cheaper yet still authentic option, consider hopping over to the very colorful “Original Durty Nelly’s.” Regardless of which dining option you choose, you can be sure that traditional Irish cuisine will await you! The above prices are “online rates” and can be purchased in advance.Click here to book your tickets to Bunratty Castle. Our drive towards the Cliffs of Moher continued as we approached the town of Ennis. We couldn’t help but notice a ruined monastery that we just had to explore. 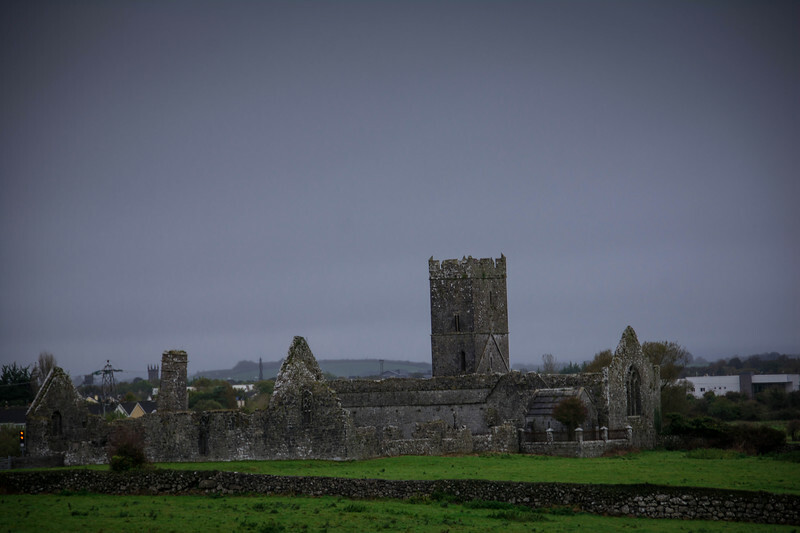 Clare Abbey is a ruined Augustinian monastery dating back to the late 12th-century. It remained in use until the 17th-century but today, we are left with a set of ruins featuring a distinctive church and cloister. In stark contrast to Bunratty Castle which is a popular tourist spot, we visited Clare Abbey with one else to be seen. 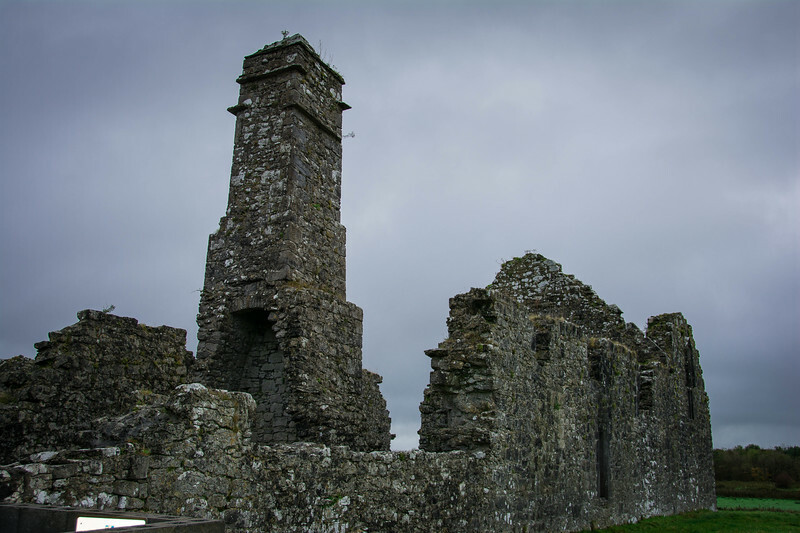 The belfry tower stands proudly in the heart of these ruins and as we carefully explored this area, it was hard not to contemplate what life must have been like while this monastery was active. 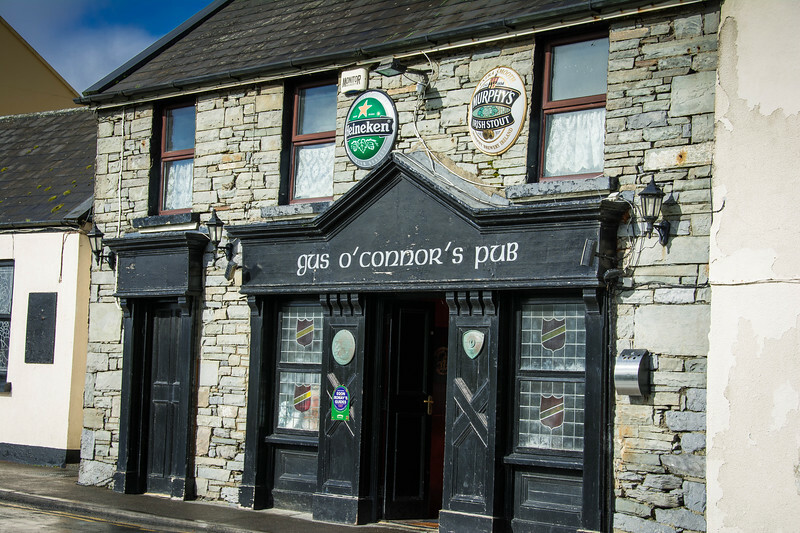 One of the highlight attractions in Ennis, we look forward to returning to this part of Ireland to explore more given that we heard this is a great town with plenty of character. 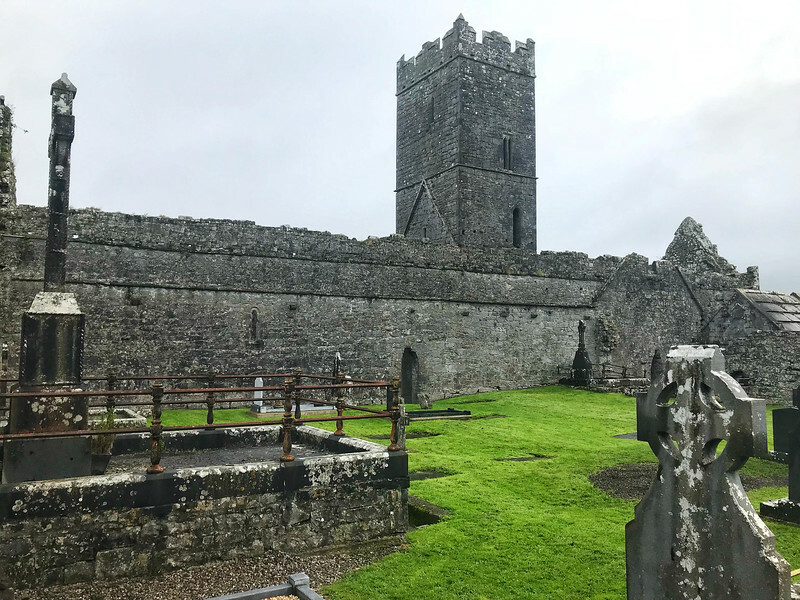 If Clare Abbey is a reflection, this is certainly a spot you will want to add to your next Ireland road trip itinerary. 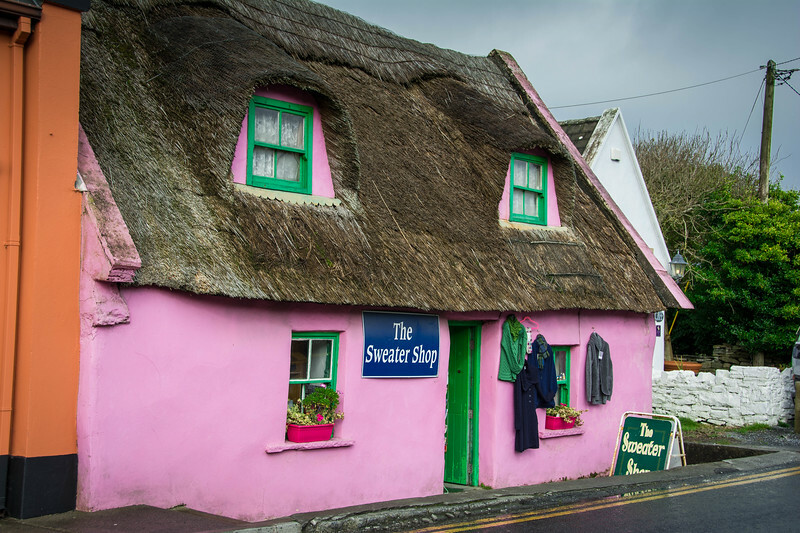 After spending the morning exploring some of Ireland’s finest examples of ancient architecture, continue the journey to the Cliffs of Moher and grab a cup of Joe at the gorgeous Moher Cottage. 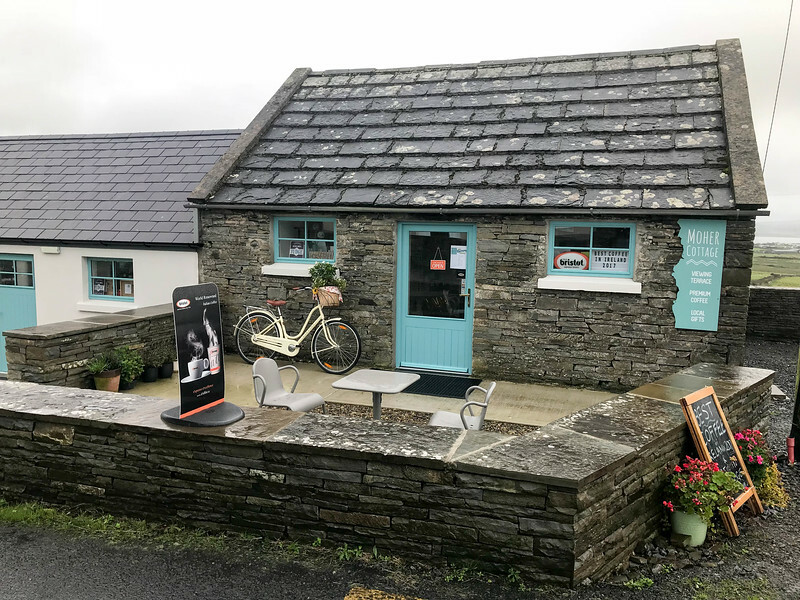 Not only is this a quaint and quirky building perched at the summit of the drive to the Cliffs of Moher, it is also renowned for having the best coffee in Ireland! A pretty strong claim but one we had to experience for ourselves. 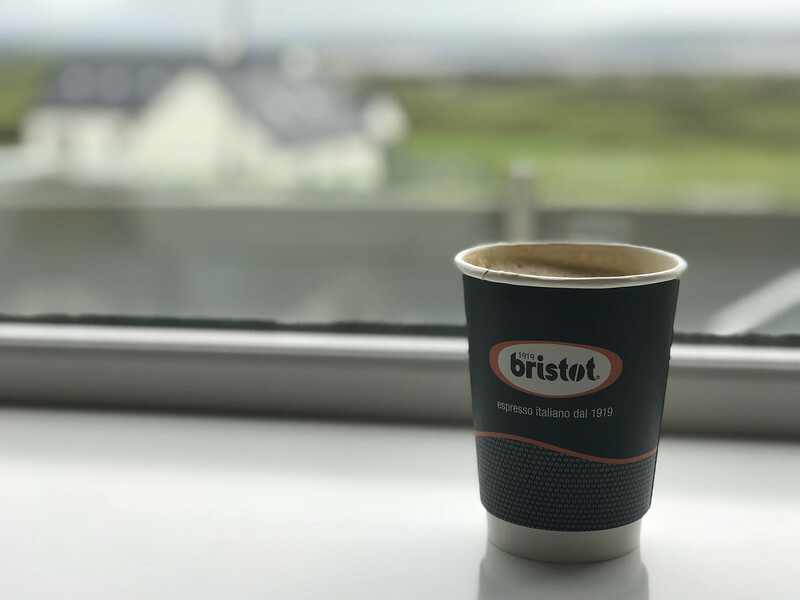 We can 100% attest that this place is amazing and although we cannot compare the coffee with everywhere else in Ireland, we can clearly see why this was recently voted for the award of the best coffee in the Emerald Isle! 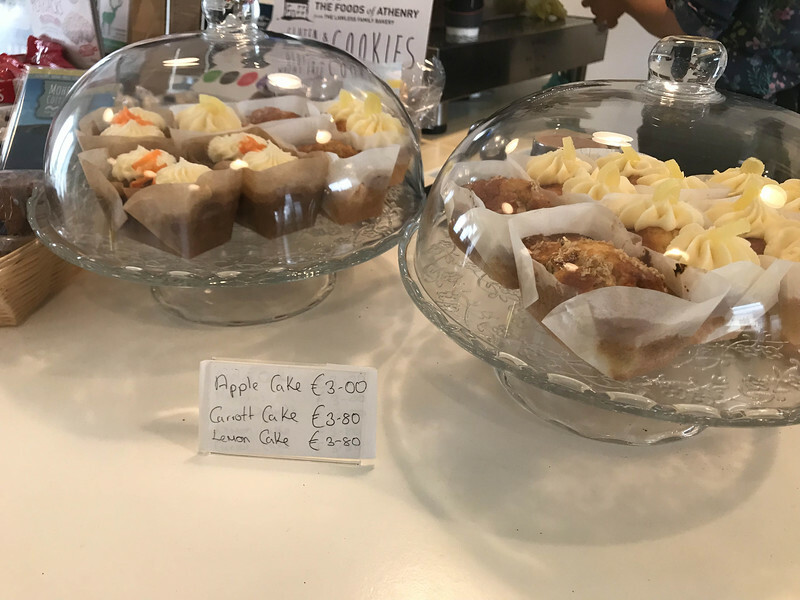 Although the coffee is amazing and the views from inside Moher Cottage are breathtaking, the best aspect has to be interacting with the owner, Caitriona. 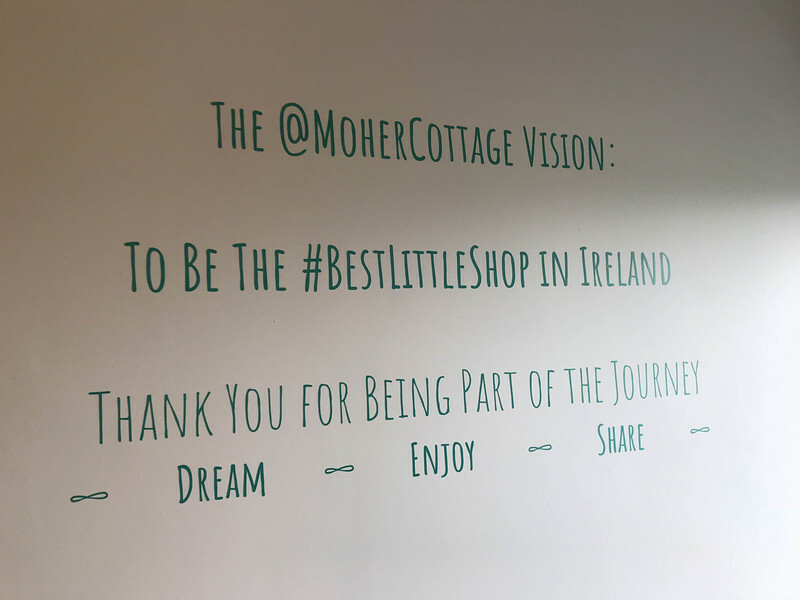 When you think about awesome customer service and a friendly welcome, this is exactly what you get when you arrive at Moher Cottage. You truly feel like part of the family and we thoroughly enjoyed our time visiting this part of the Wild Atlantic Way! 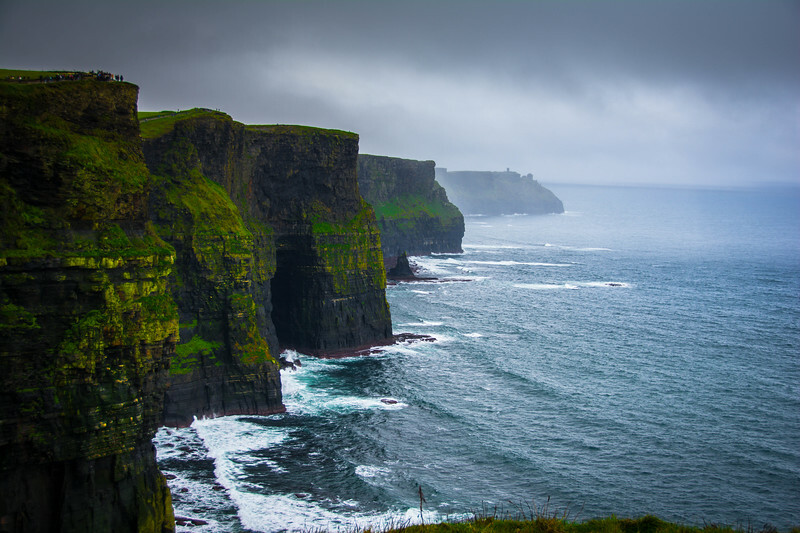 Ireland is home to a number of iconic natural landmarks and the Cliffs of Moher certainly fall into this category. As I mentioned, we arrived at the Cliffs late afternoon and honestly it was an “epic” failure. 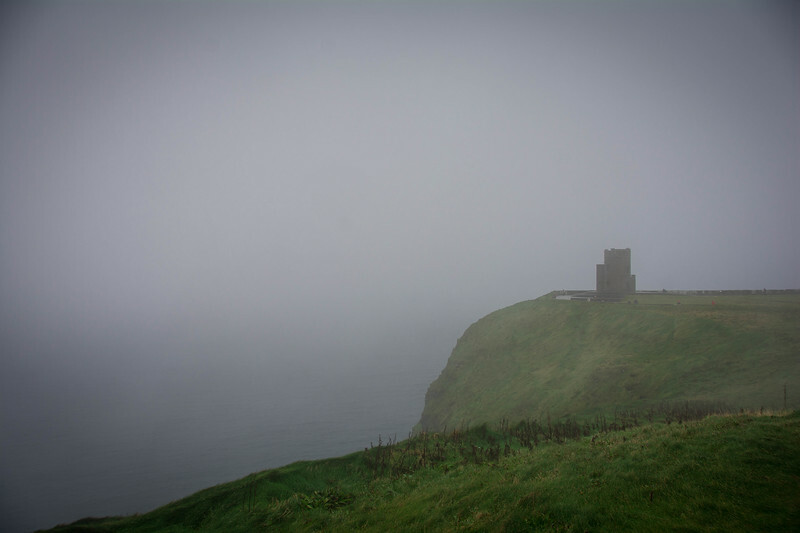 Rather than the Cliffs of Moher, we experienced the Cliffs of Fog! 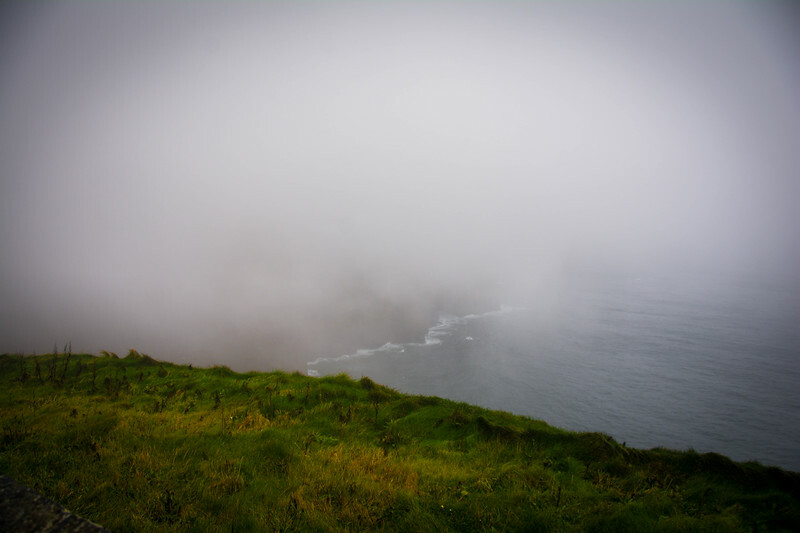 We literally could see pretty much nothing except for a few minutes when the clouds cleared slightly and we were at least able to catch a glimpse of O’Brien’s Tower at the most southerly point. After grabbing a bite to eat in the visitor center cafe, we spoke to guest services and they told us that if we were able to come back the next day, our parking pass would still be valid and all we had to do was tell the attendants that we visited the previous day in the inclement weather conditions. 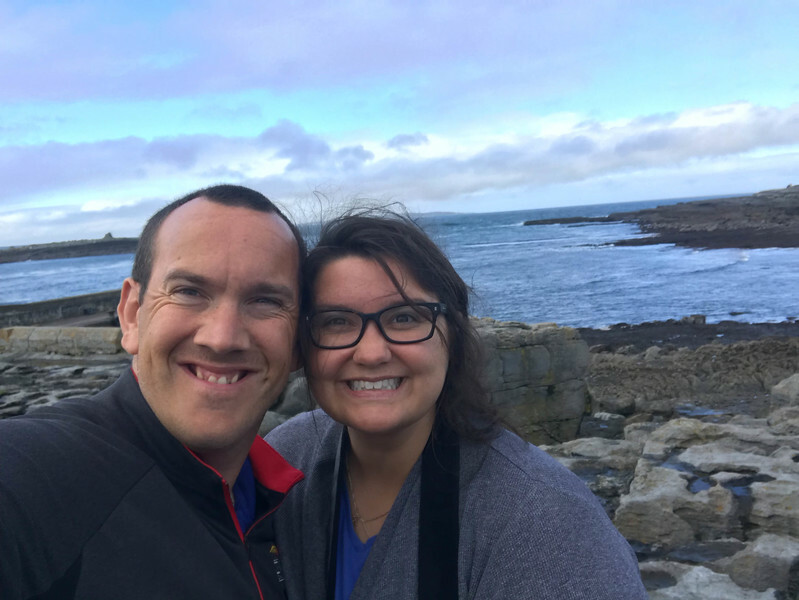 We desperately wanted to see the Cliffs of Moher in their full glory, so we changed our plans and stayed overnight in Limerick before heading back the next morning. 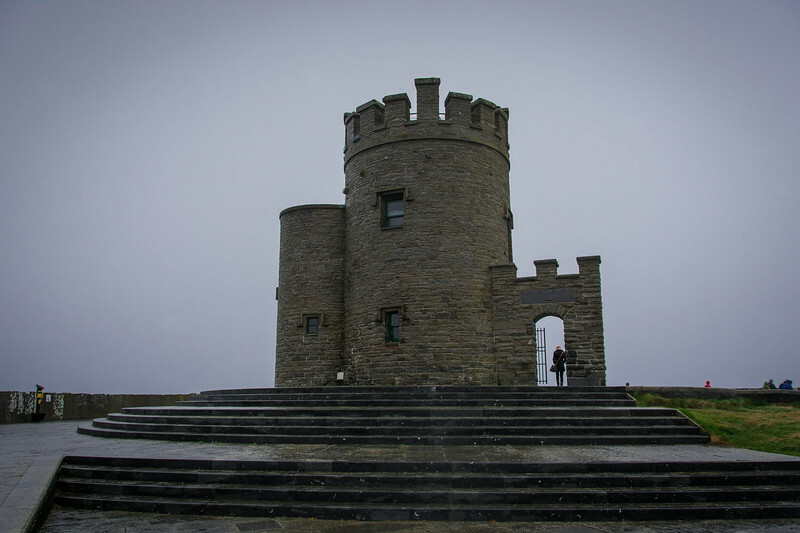 There are several different viewing platforms at the Cliffs of Moher in addition to the interpretive center, cafe and gift shop that are part of the visitor center. Perhaps the highlight attraction is taking a stroll along the cliffs but if you choose to head along the “unofficial” cliff edge trail (a popular attraction for visitors), PLEASE BE CAREFUL!! Given that we visited after some persistent rainfall and with a threat of further foggy conditions, Heather headed towards O’Brien’s Tower and I wandered in the opposite direction. Our goal was to capture pictures of both angles before the weather prevented us from taking any more. The trail I followed quickly became pretty rough and after clambering over a fence, I realized along with the many other visitors that we were away from the “official” trail and literally on the edge of the cliff! The panoramic views looking back across the Cliffs of Moher are breathtaking but you have to weigh the pros and cons of standing so close to the edge. There is quite a bit of space so don’t think this is like an image from Cliffhanger where Stallone is dangling off the edge of a cliff but it’s still pretty daunting when you peer over the edge. The power of the Atlantic Ocean crashing against the Cliffs of Moher is not only a sight you won’t want to miss, it creates an eerily beautiful sound as you realize how nature impacts the landscape in front of us. 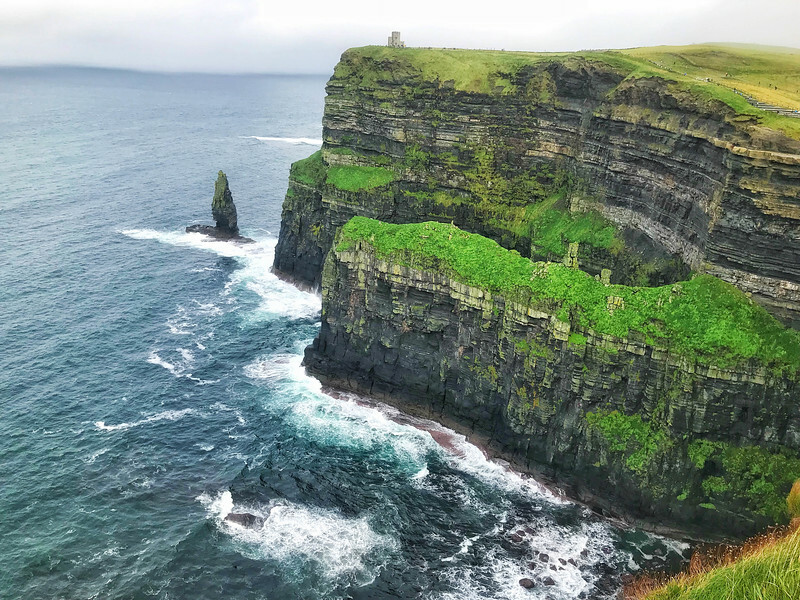 You can easily spend all day at the Cliffs of Moher but if you are planning on experiencing as much of the area as we did, there are a few other spots you should consider visiting that are just a short drive from this landmark. For those of you considering hopping over to the Aran Islands, the village of Doolin will be a familiar town. 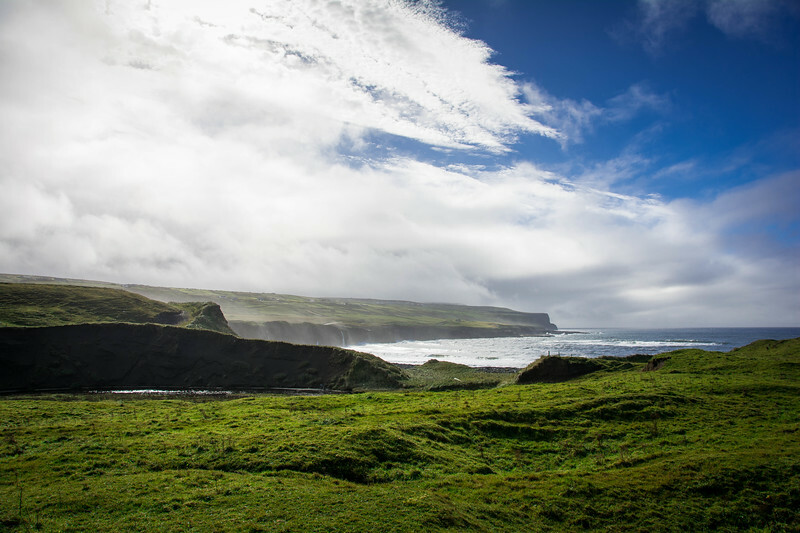 Renowned as the “traditional Irish music capital,” Doolin is a relatively small village but packed with plenty of character. The views overlooking the Aran Islands are breathtaking but it’s the interaction with locals as you take a leisurely stroll around the town that really makes this an appealing destination. As you can see from the above quotes, Doolin is all about the “incredible people” enjoying plenty of craic with locals and visitors alike! 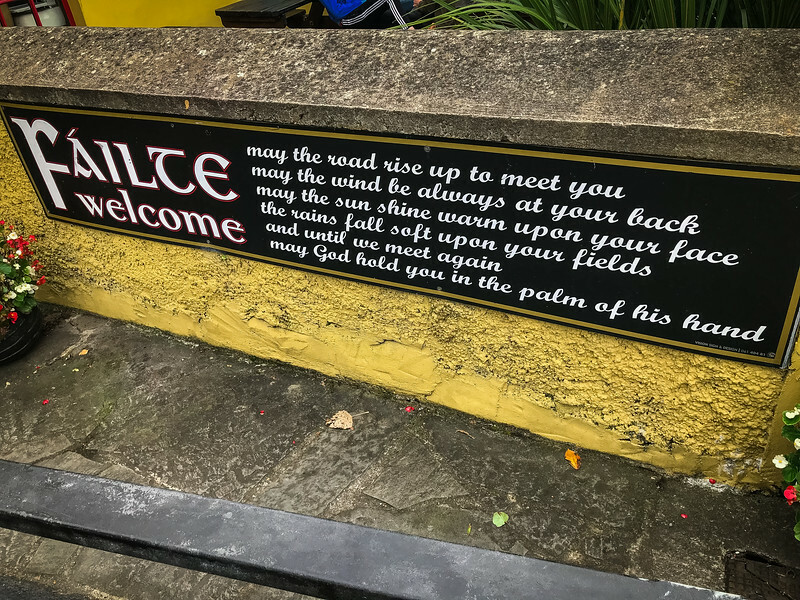 The folks in Doolin treat everyone like family, so you can be sure to feel right at home when you visit this beautiful Irish village. 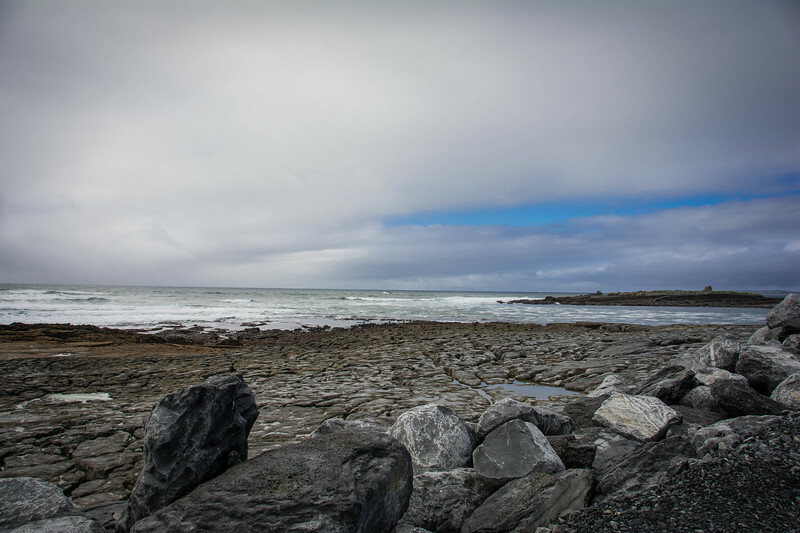 Doolin is the gateway to the Aran Islands! If you have enough time, we strongly recommend spending at least a day exploring these gorgeous islands. Be sure to check out Doolin Ferries if you are planning an adventure to the Aran Islands. 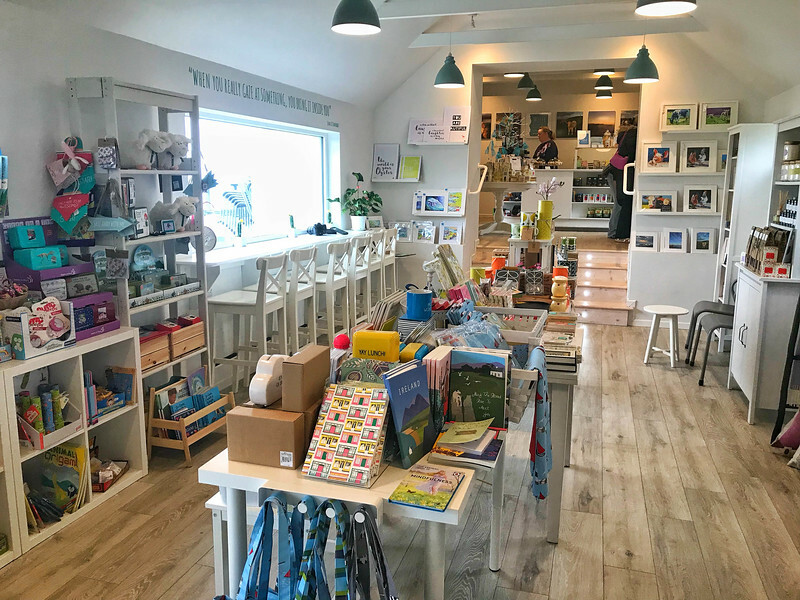 By the time you leave Doolin, the likelihood is that you will have experienced a long, tiring day and you will be ready to head back to your base. 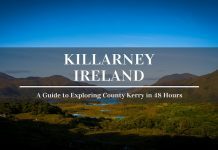 However, if you are heading to Galway or back to Limerick, we have a couple more spots on your journey that you will want to experience. 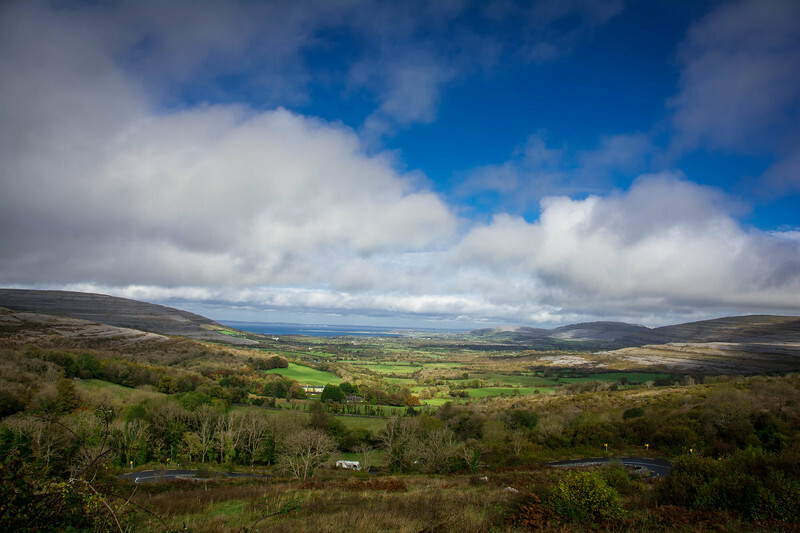 Corkscrew Hill is a breathtaking winding road between Ballyvaughan and Lisdoonvarna and offers spectacular panoramic views across the Burren region of Ireland. Before you drive this winding road, there is a perfect spot to pull over on the side of the road and admire the scenery and what lies await. 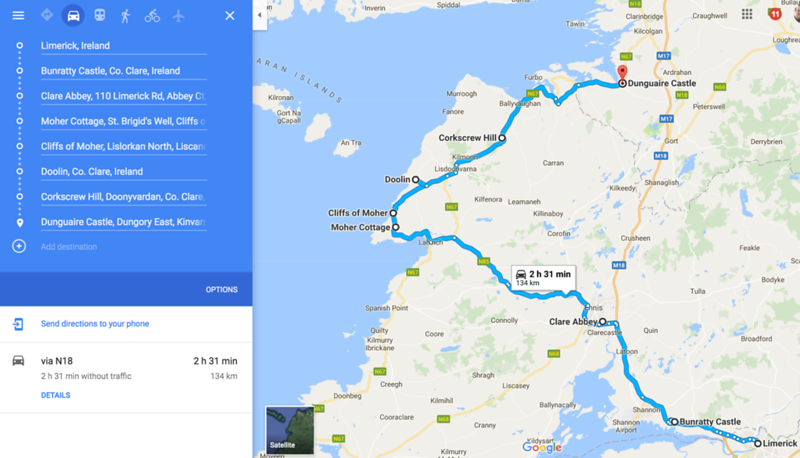 It’s hardly a rollercoaster ride but it’s pretty stereotypical of Irish roads in general – the reality is, you don’t see many straight roads on the Emerald Isle! We started our day trip by visiting a castle so it’s only appropriate that our final stop should be another gorgeous castle. 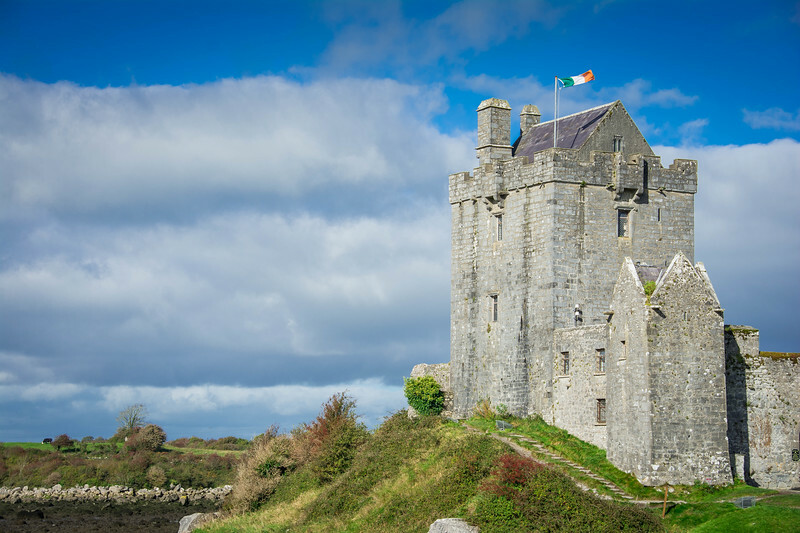 Dunguaire Castle is a tower house on the southeastern shore of Galway Bay and was built in 1520 by the O’Hynes clan. In the early 17th-century, the castle was passed over to the Martyn’s of Galway. This family owned the castle until the 20th-century before it was purchased and restored in 1924. Today, the restored castle gives visitors the opportunity to reflect on the lifestyle of the people who lived from 1520 to modern times in this part of Ireland. 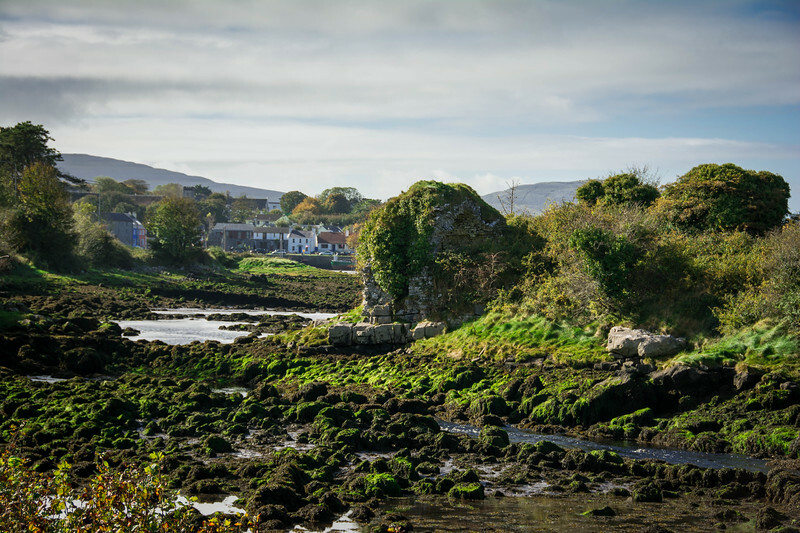 Irish culture has evolved over recent centuries but much of the rich heritage has been preserved and this is apparent throughout Dunguaire Castle. Similar to Bunratty Castle, visitors today can enjoy a medieval banquet inside the castle with locally sourced Irish food between April and October. The above prices are “online rates” and can be purchased in advance.Click here to book your tickets to Dunguaire Castle. Another action-packed day in Ireland is what you can expect if you consider taking a Cliffs of Moher tour. 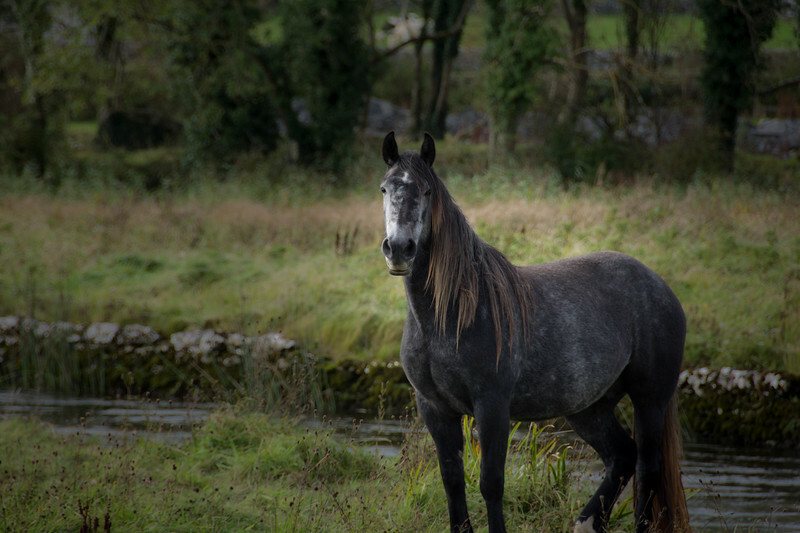 There are countless examples of amazing history, rich culture, and breathtaking natural scenery seemingly around every corner in Ireland so regardless of which route you take, you can be sure there will be something waiting for you to explore. The Cliffs of Moher are undoubtedly a popular tourist landmark and we would agree that they don’t disappoint. However, we would also argue that the variety of experiences along the route are what makes this an incredible day trip to remember. We cannot wait to have the opportunity to head back to Ireland and learn more about this historic nation! Previous article5 Star Hotels in Las Vegas Only $50 – Hotwire’s Million Dollar Sale! Wow! Such a wonderful post! I love the pictures, these cliffs are so majestic! Also, I was really amazed with the castles This was indeed breath taking! Moher Cottage looks so comfy inside, indeed gorgeous. Thanks for sharing this post.